The world's first Jeeps were designed and manufactured over 70 years ago, bringing four-wheel-drive adaptability and durability across the globe. Debuting in 1945 to wide acclaim, Jeep's mastery of the 4x4 segment is unequaled. 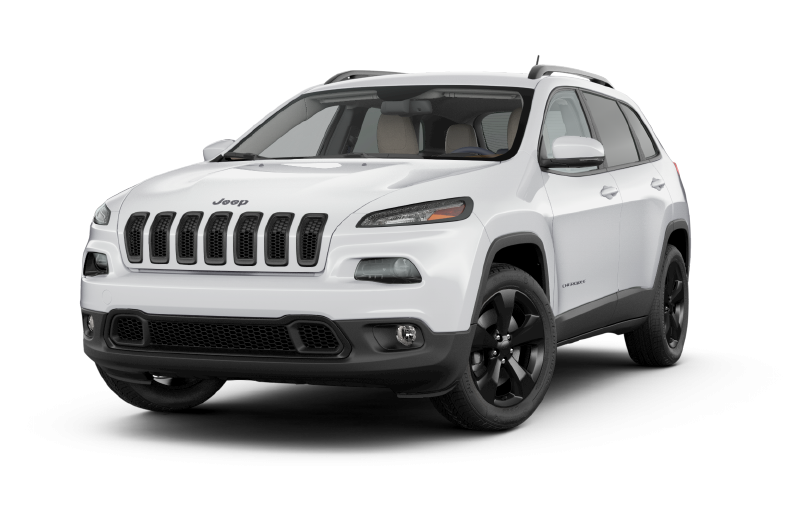 Today's Jeep Cherokee crossover is a testament to nearly 50 years of design refinement - and to find your new or used Jeep Cherokee in Toronto, there's no better option in Greater Toronto than Downsview Chrysler. No matter what your driving goals are, the Jeep Cherokee model lineup is ready to deliver. It starts with the Jeep Cherokee Sport, our most affordable option, which cuts an intimidating profile even before the 2.4L Tigershark® MultiAir® I-4 or 3.2L Pentastar™ VVT V6 roars to life. For the ultimate in off-road performance, we recommend putting the Trail Rated Jeep Cherokee Trailhawk through its paces. With the Active Drive Lock 4x4 system at your command, you'll be able to tackle the tougest obstacles without breaking a sweat. It's all here at Downsview Chrysler! You won't need to go off-road to encounter driving challenges in your Jeep Cherokee. 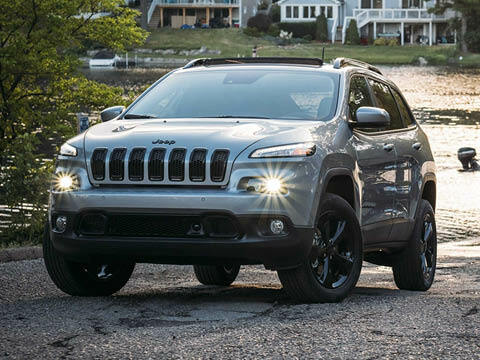 To help mitigate the danger of road hazards, tight parking situations, and unpredictable traffic, the Jeep Cherokee is equipped with a wide range of standard and available safety and security features. From state-of-the-art sensors that help augment your situational awareness, to available HID headlamps to better illuminate the road, to electronic stability control and trailer sway control that help keep your Jeep Cherokee balanced, Jeep has you covered. For all this talk about off-road adventure, you might think that the Jeep Cherokee is all about a rugged, hard-edged experience - but trims like the Jeep Cherokee Overland prove that nothing could be further from the truth. As you settle into a 12-way power driver's seat with 4-way lumbar support and grasp your heated Nappa leather-wrapped steering wheel, you'll learn that for the Jeep Cherokee Overland, comfort and adventure go hand in hand. Get behind the wheel at Downsview Chrysler today. There's nothing quite like driving home in a new or pre-owned vehicle, knowing you've gotten the best deal that Greater Toronto has to offer. But we'd like you to know that unlike some dealerships, we look at the bottom line as only one part of the entire customer service experience. Check out the feedback in our customer testominals section and you'll see that how we communicate with our customers is just as important as the vehicles we carry. Choose the Downsview Chrysler team and you'll discover a truly welcoming sales environment. Our reputation has been built one customer at a time, and you'll find that it's well-earned. You'll discover that working with our team to choose the perfect Jeep Cherokee for your needs and build the perfect financing plan is pretty rewarding - but in the years ahead, you'll come to rely on Downsview Chrysler for more than just sales. For as long as you own your Jeep Cherokee - and any other vehicle you might already have - we can offer you Greater Toronto's best auto service and parts experience. Maintenance, repairs, and inspection are a fact of life, and we're dedicated to helping you stay on the road for less. We offer new specials all the time, so keep checking back for a chance to save even more! Proudly serving Greater Toronto as a family owned and operated dealership since 1959, Downsview Chrysler is unquestionably the premier destination for Chrysler, Dodge, Jeep, RAM, and Fiat vehicles in the area. From day 1, we've strived to provide a higher standard of customer service to drivers from Greater Toronto and beyond, and we're proud to offer not only a competitive inventory at affordable prices, but a full array of auto services for every customer. Although we came from humble beginnings, today's Downsview Chrysler facility has grown to serve the community better - and we're eager to welcome new customers to the family. We believe that it only takes a single visit to transform someone into a customer for life. Drivers throughout the Greater Toronto region rely on the Downsview Chrysler team for a wide range of auto needs - not just high-quality new and pre-owned sales, but also affordable financing, prompt and courteous service and parts centres, and new specials that can help you save even more! I had an issue with my Jeep, called the Service Manager Ed, he heard me out, didn't rush me off the phone and provided excellent customer service, really felt valued as a customer. Michael Davis is also a great service adviser, excellent customer service and helped me out immediately. They both went above and beyond to ensure I was not only happy but safe in my vehicle. With every problem faced they provided me with a solution and communicated with me step by step. A big thank you to Ed, Michael Davis and Al. Sayed answered all of our questions regarding our first car purchase. He was attentive and forthcoming to a variety of options available to us, suggesting the right model for our budget. He guided us through the whole purchase process, as well as helped us sort out our first car insurance, by connecting us to, and collaborating with, an insurance agent that got us the right insurance plan. We walked away with a smile on our face and a family car that we're extremely happy with. I had a wonderful experience here buying my first car in Canada. Masoud, Gulnara, Eli & Andrew Helmy provided me an outstanding discount for the car and the service program along with unbeatable financing terms. I recommend each and every person this dealership - it is literally the best Chrysler dealership I've ever been to.